The fall is always cookbook season. It is the time of year when publishers release the majority of the cookbooks for the year with the hopes of gift sales and holiday cooking. Today’s focus is on the well-renowned Giada De Laurentiis Giada's Feel Good Food and her book signing tour at Williams-Sonoma across the country. Giada wears many aprons, the star of the Food Network’s Everyday Italian and Giada at Home, a mentor and judge on the Next Food Network Star, and one of NBC’s Today Show culinary correspondents. 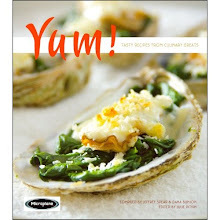 Add to her accomplishments six cookbooks that ranked on the New York Times bestselling cookbooks. Check out the video and her cookbook signing locations and dates HERE.